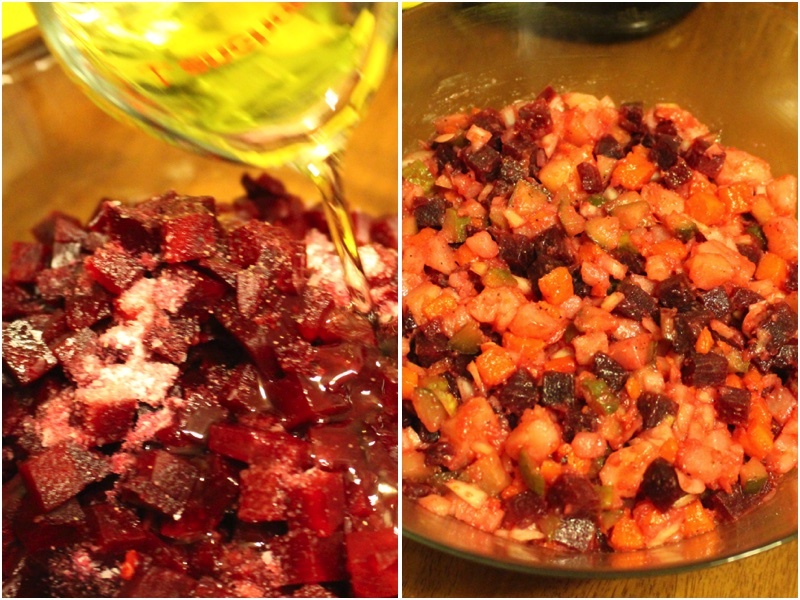 Classic European vinaigrette salad (Винегрет) with cooked beets, carrots, potatoes and more, dressed in simple extra virgin olive oil. 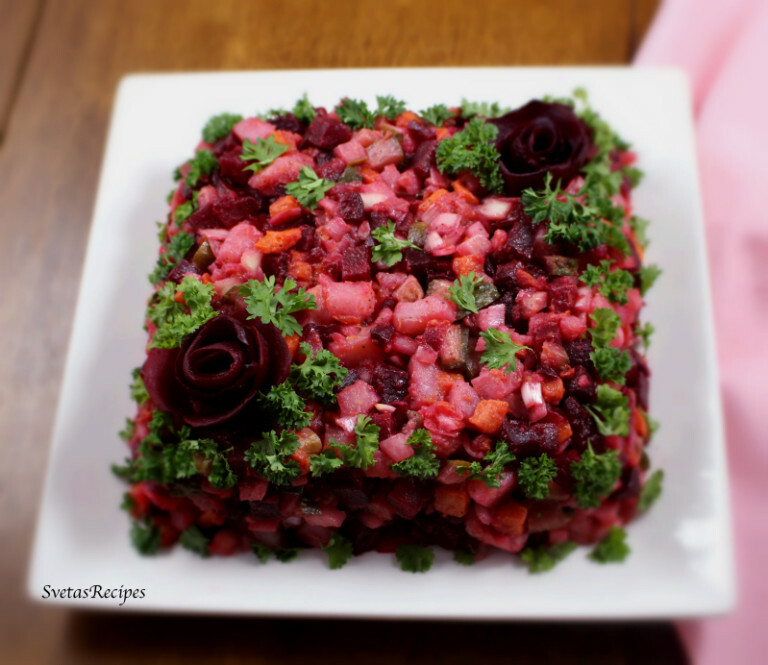 This salad is a healthy comfort food, perfect all year round! 1.) 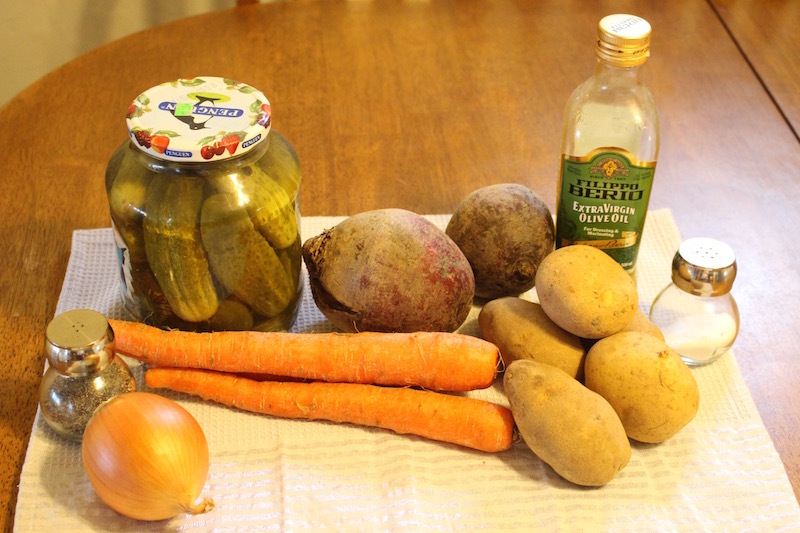 Wash, dry and cook all of your fresh vegetables, next cool them down and drain. 2.) Dice your onions and cucumbers also, place them into a medium size bowl. 3.) 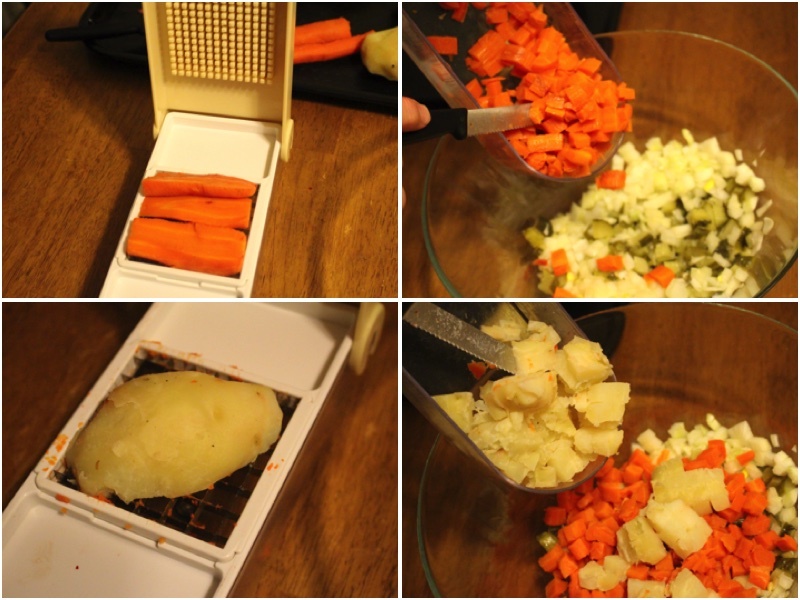 Dice carrots and potatoes using a quick chop. Also add your diced carrots/ potatoes and add them to your medium size bowl. 4.) Dice your Beats and add pepper, salt and your diced beats to the medium size bowl. 5.) Now Add olive oil and mix well, decorate with dills and parsley and find a nice serving dish and enjoy with a partner. 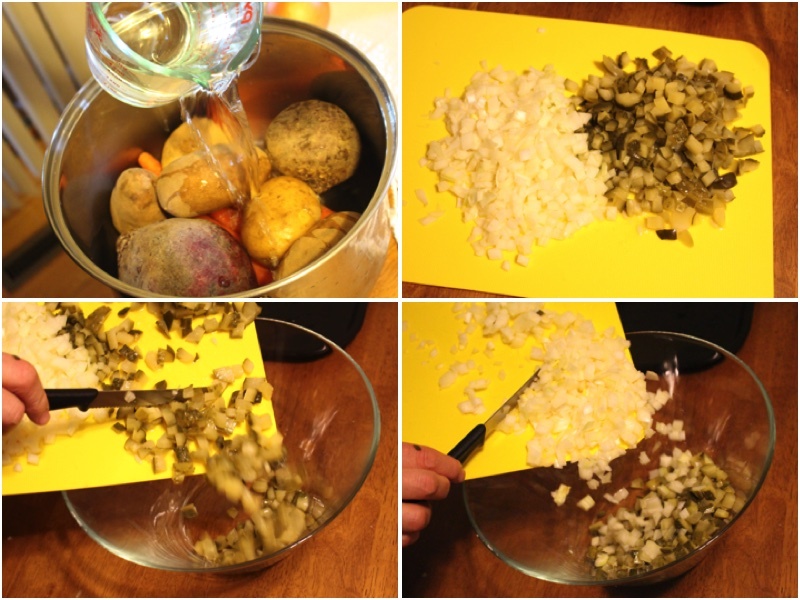 Wash, dry and cook all of your fresh vegetables, next cool them down and drain. Dice your onions and cucumbers also, place them into a medium size bowl. Dice carrots and potatoes using a quick chop. Also add your diced carrots/ potatoes and add them to your medium size bowl. 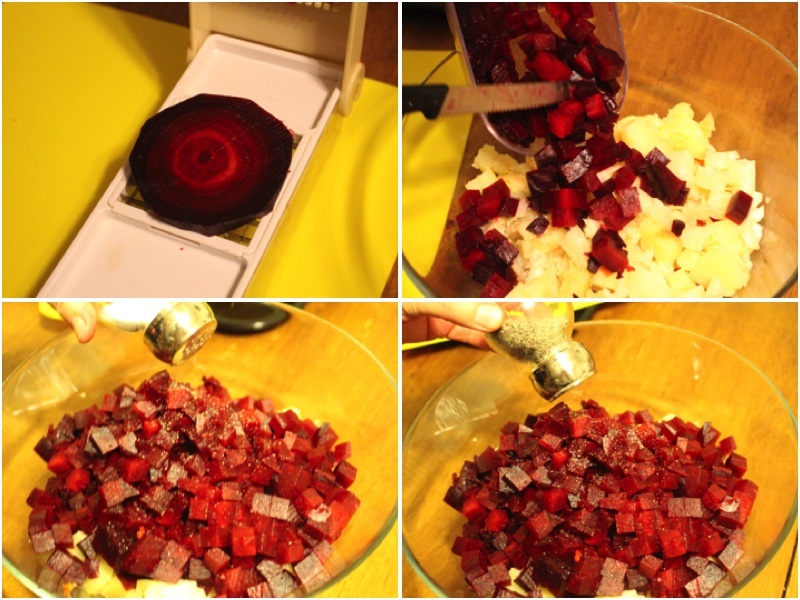 Dice your Beats and add pepper, salt and your diced beats to the medium size bowl. Now Add olive oil and mix well, decorate with dills and parsley and find a nice serving dish and enjoy with a partner.